The Nissan 240Z was one of the most successful roadsters on the planet that reached iconic status in the automotive industry. 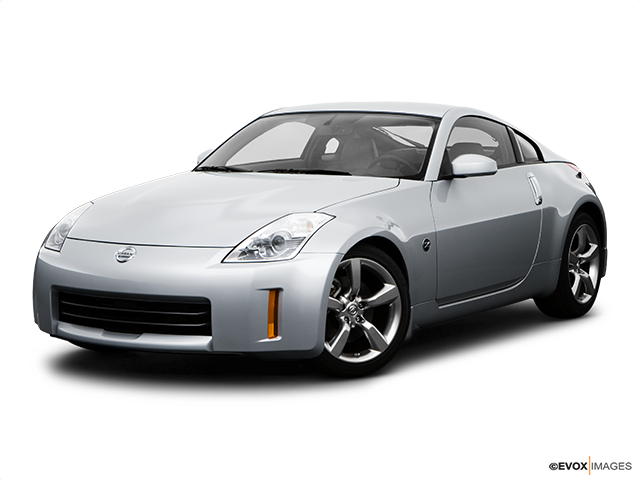 To try and live up to its reputation, Nissan built the 350Z, which came in both coupe and roadster variants. 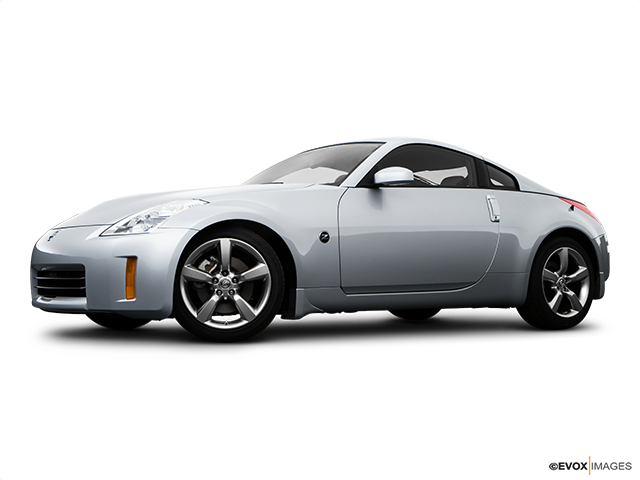 Although it never reached the status of its predecessor, the 350Z is a worthy successor of Nissan's legendary heritage. It goes without saying that, with its great look and performance, it latched on to the younger generations. Nissan’s 350Z comes in two aforementioned body types. Both of the variants are powered by Nissan’s traditional V6 3.5-litre engine, which brings 306 ponies under the driver's foot. This engine will not only make you go fast with its raw power but also bring enjoyment to you while doing so because of its construction. The engine block has a ladder frame construction for greater rigidity and is positioned 15mm lower for better stability. The airflow features a symmetric twin ram air intake system that reduces the airflow resistance and gives the car additional horsepower due to better air intake at higher speeds. Furthermore, Nissan made sure that this powerful engine is not painful or hard on your ears as the sound coming from it is loud and pleasing. In other words, it is not accompanied by booming or low-pitched mechanical sounds that most drivers find annoying. The car comes in two sets of transmission options, which are the six-speed manual and the five-speed automatic. The automatic variant has Downshift Rev Matching that smoothens out downshifting by blipping the throttle. Both the coupe and roadster versions of the Nissan 350Z implement so many familiar features found on their successful older cars. This goes for the front-positioned engine that powers the rear wheels, the interior and overall shape of the silhouette. Much like the 240Z, the new generation coupe and roadster have a long nose with distinctive headlights that cut into the hood at the edges. The long wheelbase provides the short overhang and wide stance which, when combined with the raised rear deck give off the aerodynamic teardrop shape that does not only look good but also provides better airflow around the car. When it comes to the roadster body type, it features a soft top with a glass rear window that is completely automatically operated. 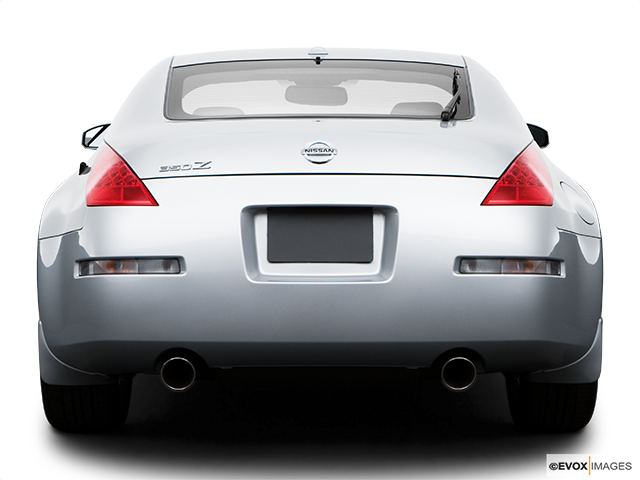 On the inside, Nissan’s 350Z one of the quietest cars in its segment be it the roadster or coupe. 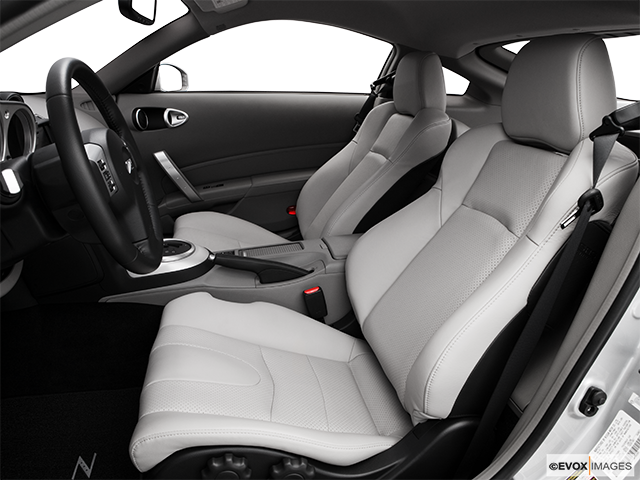 The main emphasis was put on the performance, which means that the seats (most importantly, the driver’s seat) were in the focus. The seats are powered, just like everything in this four-wheeler and are highly adjustable. They also feature tight support that enhances the driver’s precision on the pedals. The interior comes in either grey or black versions of both leather and fabric, which blend in perfectly with the steering wheel and dashboard. First off, the 350Z provides the rack-and-pinion system which makes this incredibly fast car extremely controllable when driving at high speeds and feels race-like. Apart from the great handling, the car’s suspension is a bit stiff but not rough by any means on the road. Furthermore, the 350Z has the Traction Control system in its arsenal which, together with its anti-lock brake system, detects the speed at which the wheels are accelerating and corrects the wheel torque if they differentiate a lot. If the car has to stop unexpectedly, you will have the aid of the electronic brake distribution system and the brake assist that will keep your car on the road, safe from sliding away. As for the cabin, it protects you with the dual-stage frontal airbags and with the seatbelts that come with installed pretensioners and load limiters, ensuring that every drive in your Nissan 350Z is a pure joy with no worry or stress.